"Creating Abundant Cycle of Educational Opportunities"
"Action for Education" is a fundraising activity to make more people take actions they can do for sharing educational opportunities from Japan. I interview the people behind this program and introduce them in series. 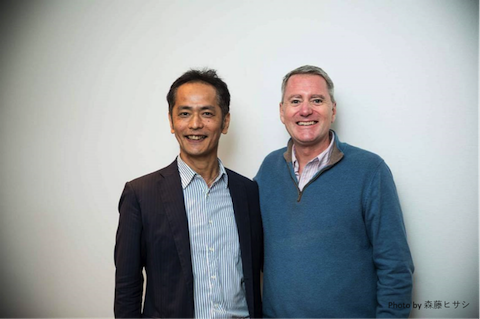 In this fourth interview, we interviewed Mr. Hideyuki Matsumoto, supporting Room to Read for many years, who is doing great in "Action for Education" . English Version: Translated and Edited by Matsumoto with the help of QQEnglish teachers. Born and raised in Kure city, Hiroshima, Japan. After joining Japan Airlines (JAL) as a maintenance staff, he engaged in maintenance of automatic aircraft fight system, aircraft parts supply plan, and IT system work for 22 years. In his twenties, he took a two-year leave for Japan Overseas Cooperation Volunteer activity in the Kingdom of Morocco where he encountered his big challenge in life, "The cycle of poverty". Published "iPhone English study method" series while working at JAL in 2010 and became the expert in "Learning English with smartphone". In 2012, he started his own business as an English Language Coach supporting managers, medical staff, business people on the theme "Improving English Language Enriching Language Skills". Book: Many, such as "Smartphone 3 Minutes English Learning Method" (Shuwa system), "iPhone English study method" series (Nihonjitsugyo Shuppan), "Visual English" (Forest publishing). Interviewer: Mr.Hideyuki Matsumoto has been supporting Room to Read since 2008, when it was still running in Japan with volunteers alone. At that time, I remembered you were still connected with JAL. I wonder how you found out about Room to Read? Mr.Matsumoto: I encountered Room to Read in 2008, at the age of 38, when I finished a big project in my job and wondered about what I would do after that. Suddenly, I read an article on Room to Read in Asahi Newspaper. It actually tickled my curiosity. In fact about 10 to 12 years ago when I was around 26 years old, I took a leave from JAL and went volunteering to Morocco as a Japan Overseas Cooperation Volunteer. On that occasion, I witnessed the cycle of poverty in developing countries - children without the opportunity to learn became parents of children who received the same fate. As much as I wanted to help, I couldn't do anything by myself because I was just a young volunteer back then. I remembered having feelings of disappointment and helplessness in my heart. Interviewer: Upon reading the article about John, how did it create a huge impact to your heart? 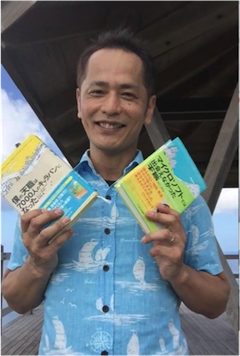 Mr.Matsumoto: While reading the article, it triggered me to read his book and I learned that I don't need to have a big vision by myself;instead, I can be a part of a bigger vision. For example, Room to Read has a big vision of “Educating 15 million children by 2020”, but I cannot imagine such things by myself. However, it was clearly written in the book that I don't need to quit the company to achieve that vision; consequently, the idea made me feel relieved. I can join the team and support the project at the same time instead of quitting the company. I am fully aware that I don't have to think of what I can do to solve the cycle of poverty but I just took part in such activities. I joined the translation team because I could start by making use of the skills I already had. Interviewer: Even though people think of volunteering, it takes courage to actually take part in those activities. Mr. Matsumoto: I remember that there was a newsletter back then. I signed in and I attended an event where there were many supporters. I started translation support because I was good at English. In my schooldays, I got a conviction that being able to communicate in English broadens my world, so I kept learning English more and more. I have been in the English Education industry for 7 years now. The reason why I have one of the best positions is that I have multiple paths such as English Education, Personal Development, Business Development and Fundraising. I can send messages to every area where I belong. Interviewer: Multiple paths broaden your chances, don't it? Mr.Matsumoto: I've been conscious about that for a long time. For me, creating opportunities of learning and growing is the theme of my life. That theme is a flip side of Cycle of Poverty. Interviewer: You mean creating learning and growing opportunities together right? Room to Read is also“being together” like you. Building schools is not an end but we work on education with local teachers. Working hard is crucial for being independent. At the same time, someone who supports us is also important, isn't it? Mr.Matsumoto: That kind of vision and activity resonates within me. I guess that's why I continue this for such a long time. Interviewer: After encountering Room To Read in 2008, you had experienced a big change in your life. That was, you left JAL and Tokyo and moved to Okinawa in 2012. Mr.Matsumoto: JAL went bankrupt in January 2010. I was not in the range of layoff as I was originally employed as maintenance crew. I decided to continue my job until I could witness JAL's recovery, not leaving right away. I published my first book in July. At that moment, it came to my mind that leaving JAL after I witnessed its recovery would be better. I was contemplating what kind of way of living would be better for serving many people. So I kept working at JAL while writing books, doing my coaching business and preparing my business startup. Then in February 2011, I just thought,“I would leave in one year”. Interviewer: Was it before the Great East Japan Earthquake? Mr.Matsumoto: Yes, it was. The earthquake happened on 11th March. My family moved to Okinawa six months later. I finally moved to Okinawa at the end of February 2012 when I left JAL. I stayed in Okinawa for one and a half year. One of the important experience in my life was facilitating 20 days program for high school students from Asia. That program was sponsored by Okinawa Prefecture. I facilitated the program for three years till the end of the program in 2015. That made me fascinated for opening up possibilities for children. My business essence is to open up the potentials of people I meet and make it happen after all. Interviewer: Every story in your life is connected. As you broaden your activity, you get more chances. Those chances go along with what you want to do as well. Mr.Matsumoto: Creating cycles of learning opportunities means that what I do for learning works as teaching others, supporting and serving others. That is also learning and growing opportunity for me. In that sense, the fundraising of the Action for Education this time is like giving something that leads to gaining another big experience. I guess that there are still many people who don't realize this cycle exists. Interviewer: It is closely related to today's topic. Why do you deeply connect to Room to Read activities? Mr.Matsumoto: For me, Room to Read is a place where I can work together on realizing ideas I want to accomplish. For example, even if I wished to make children in developing worlds to get literacy training by fundraising activity using my English skills, just thinking about, that does not change the situation. By multiplying resources of Room To Read and what I have, I could make a big flow to achieve what I've imagined. That's why I started giving my coaching sessions to donors for the Giving December which started in 2015. The donation amount for each coaching session was 20,000JPY(about 200USD) for the first year. 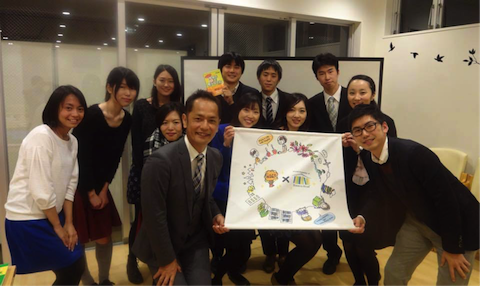 With the 20,000 JPY, we can give one-year literacy training for four children. The donors receive my coaching session gift. This is how the cycle of learning and education happens. Interviewer: The amount you fund-raised for the first year exceeded more than 500,000JPY (5,000USD). It was amazing! Mr. Matsumoto: It really was. And I wanted to get people involved that kind of fundraising activities. Seeing someone does the new thing inspires others. Of course, in the course of action, we got a few issues to handle with though. Interviewer: Do you want to work together with other people? Mr.Matsumoto: My challenge this year is to support anyone who wants to do the similar fundraising activities. For me, fundraising activities for Room to Read are opportunities to achieve my vision “Creating Abundant Cycle of Educational Opportunities”. I am doing this not only because my heart is for charity activity but also this aligns with where my life purpose goes. It is exactly the multiplication of values. Interviewer: What is your insight that you got through fundraising activities? Mr.Matsumoto: Now I know that I can do fundraising this way, I could use this experience in many ways. For example, I can help someone who wants to do similar thing such as giving sessions or services to donors like a 10000 JPY session to 5000JPY donation to the cause. I had done this only by myself for the first two years. I'm sure that I can increase the number of people by sharing my experience. Interviewer: Someone might have some hesitations to do charity activity. How do you communicate with such a person? Mr.Matsumoto: If people get hesitated, it means that it is not for that person right now. We don't have to sell our ideas. It's not a matter of persuasion, it is just showing ways to do for someone who got interested. It's quite simple. Interviewer:That's the same as Room to Read Way! Mr. Matsumoto:Last Year, I talked to several people to ask if they had interest in giving charity lectures. There were, of course, go-for-charity individuals and not-interested ones. And for some who have interests doing for charity lectures, many of them say that they are willing to do only if everything is arranged except giving lectures. We need to make easy steps for people to get involved. For those who have some interests in doing something valuable, this kind of charity activity adds extra values in their life by having pictures or numbers of contribution impact in their profile. Interviewer:You are saying that you have a merit doing charity for your business. What kind of returns have you got? Mr.Matsumoto: Sometimes, people who got my charity session come to my coaching program. This happens because I share what I value clearly through the session. With that, people trust me. Only those people who resonate with me come to me. It goes quite naturally. That's one of the merits doing this. Interviewer: Sharing your messages clearly attract people who resonate. It's an important idea. When we find our supporters, we need someone who acts independently and interdependently. We do not have enough numbers of staff to teach every steps supporters should take. Mr.Matsumoto: Supporting children's education in developing countries demands people who are independent or, at least, trying to be independent. The key that we have in Room to Read is the multiplication of values of each independent person. In this program, people with various talents and backgrounds get together under the same vision. This causes great synergy. Interviewer: We really want many people to get involved and take actions for this year's “Action for Education”. Would you share your advice for the people who want to take actions but don't know how to do? Mr.Matsumoto: The first thing to start might be getting information by asking someone who's already done. If you have some interest or a feeling of interest, it is a good reason to make questions. Interviewer: We, Room to Read, run introduction meet-ups every month. We might need more occasions for people to get to know us. Mr.Matsumoto: That will definitely help. Having a website like “Action for Education”, which shows what kind of challenges people are working on, can help interested people understand how things are like. On top of that, it would be better if people with eagerness to start the charity can consult what they can do. Interviewer: Do you mean asking questions first then taking small actions? Mr.Matsumoto: Exactly. Asking directly Room to Read Japan is a good way. As to how to start fundraising, people can ask someone who is available through Facebook. In fact, what I do is giving “how to start session” for 30,000JPY donations to Room to Read this year. Interviewer: Is it an opportunity to get pieces of advice from you on how to do fundraising challenge? Mr.Matsumoto: Yes. People get ideas and feedback through sessions by examining what they have as resources. Up until last year, I only gave sessions for English learning or Lifework start-up. This year, I want to add more values by tapping strengths of people who want to do fundraising. By the way, fundraising works well for people who want to start there lifework business. If people can attract flow of money through fundraising, they can do that in business as well. In fact, fundraising for good causes are much easier. Many people feel guilty for receiving money but that guilt is meaningless. As long as money flows for good causes, it is acceptable. Interviewer: I see. That's a nice message for someone who feel guilty in asking and collecting donations. People often think asking for donations is not easy. But they don't have to feel guilty because money flows to charitable causes , not in their pockets. 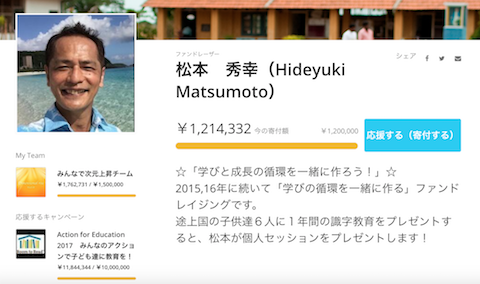 In 2017 fundraising -achieved personally over1,200,000 JPY(about 10,000USD), 1,700,000 JPY with team of 11 people and over 12,000,000JPY as RoomToRead Japan. Interviewer: You have accumulated many things. Would you share your ideas for your future? 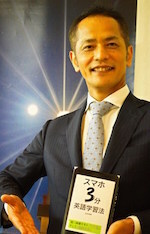 Mr.Matsumoto: My idea for my future is sticking to my “Score for Life Game”. Interviewer: What is “Score for Life Game”? Mr.Matsumoto:　It is a kind of report-book in life. We had gotten report-book in school. We generally behave how we get evaluated. With “Score for Life Game” for example, when we go to heaven after death, God passes us a piece of paper with numbers that associates our scores we got in this life. It is up to us how we decipher those numbers. In my case, the figure is the number of people I encountered and whose potentials were opened up by me. This means that the number goes up even if I end my role in this life. This idea came up to me when I conducted a 20-day facilitation program for three years to Asian high school students in Okinawa. If I define my score number with people who I've actually met, the score stops at my health. With my definition, even when my life ends in this world, my score goes up as I open up young people's possibilities who live in different areas and generations. Interviewer: That idea expand possibilities. Mr.Matsumoto: So I choose to include the evaluation index, which contains the number of people I open up directly and indirectly. In that sense, collaborating with Room to Read which has a big vision such as “Giving gift of education to 15million children by 2020” has a great meaning in increasing my “Score for Life Game”. It's a strategic choice. Interviewer: I personally want to make full use this opportunity, not only one way service. I believe that as we start doing something, a new door opens and something unexpected happens. Thank you for your time and support.